February 10, 2015 - Each week, the custodians at Walker Butte K-8 identify the top three cleanest classrooms. We would like to formally congratulate Mrs. Polina's class for winning this award two weeks in a row! The custodians are appreciative of the extra care you demonstrate in ensuring your chairs are pushed in, desks are straightened, and any debris is picked up from the floor. These actions allow the custodians to focus on cleaning and disinfecting the classrooms, preventing the spread of germs. 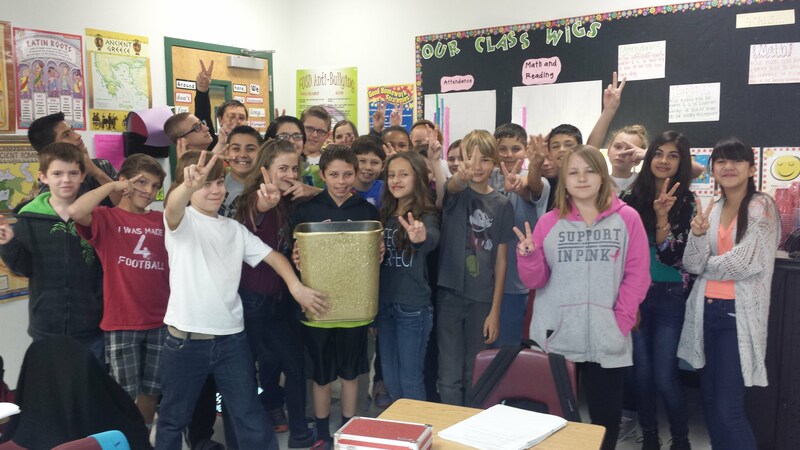 Each time students are recipients of the Golden Trash Can Award, their class is entered into a monthly drawing for a pizza party. Thank you for being proactive and beginning with the end in mind. February 5, 2015 - If you have a child or children who attend Walker Butte K-8, please click on the following link and complete the brief survey. This will provide us with valuable feedback as to how we are preforming from your perspective. The survey should take approximately 2 minutes to complete. We thank you in advance for your time as it is greatly appreciated. January 8, 2015 - Mrs. Passante, a Walker Butte Kindergarten educator wanted to expand her resources in an effort to increase the students knowledge and foundation in the area of math. She recently earned funding at DonorsChoose.org for a classroom project called "Molding Mathematicians". Thanks to the donors, the resources for this project will be arriving soon. The items that will be ordered with this funding include: Pattern Blocks Activity Cards, Plastic Pattern Blocks, Geometry Folder Game Library, Unlock It! (number match game), Shapes Match-Ups, Lakeshore Math Counters Library, Geoboard Design Center, and Double Sided Counters. January 8, 2015 - If you didn't get a chance to see American Idol last night, there was a feature aired by FOX 10 about the signed guitars Keith Urban sent Mr. Meadows' Music Class. Check out the video by clicking the link below! January 6, 2015 - FOX 10 NEWS ALERT! Mr. Meadows and his students Samantha, Jagger, and Emma Jo were chosen to be interviewed by Fox 10 today about the guitars that were donated by Keith Urban to Mr. Meadows and his students. Set your DVR's to record tomorrow night at 9pm to watch their interviews! January 5, 2015 - Welcome back Coyotes! We hope you all had a restful break and are ready to get back into the swing of things! Have a great week back Coyotes!! December 12, 2014 - Congratulations to our "Parent Volunteer Leader", Heather Taylor! Thank you for all the amazing work and numerous hours you have contributed to making Walker Butte a better place! Pictured below is Mrs. Perales’ enrich class who volunteered to read a variety of Robert Munsch books to the 2nd grade students as a concluding activity for their author study. Also pictured are 7th grade students who are offered the opportunity to join an Accelerated Reading team, of which 35 students sign-up each quarter. The winning Accelerated Reading team earns prizes. Please note, the Walker Butte students to date have currently read 8,110 books and have a total of 107,415,352 words!! December 3, 2014 - Help send our 6th grade students to Science Camp!! Come by the Walker Butte office to sign up for our silent auction! There are amazing gift baskets available and every bid starts at $25. These baskets will be great gifts for the holidays! Come and check them out!! The auction has begun and will last until December 11th at 3pm. Winners will pick up on their baskets on Friday, December 12th. December 2, 2104 - Our music teacher Mr. Meadows and his class recently wrote letters to the American Idol judges asking them where they get their musical inspiration. With hopes of letters in return, they received something very unexpected, 2 autographed guitars from Keith Urban. Way to go Mr. Meadows and Walker Butte music classes! November 21, 2014 - Congratulations to Amelia Verdugo for winning the Walker Butte Spelling Bee! This is her 3rd year winning 1st place! We also want to give a big congratulations to Alyn Chen (2nd place), Michael Gideon (3rd place), Raina Leiferman (1st alternate), Hayden Hoffman (2nd alternate), Angelina Klien (3rd alternate), and to all of the Spelling Bee participants. You all did a wonderful job! 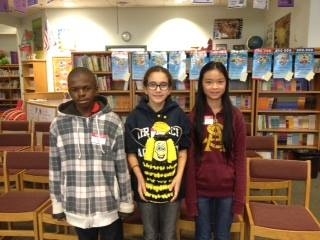 Amelia, Alyn, and Michael will be representing Walker Butte at the District Spelling Bee. Good luck Coyotes!! November 21, 2014 - We had an AMAZING turnout for the Math and Reading Game Night! Thank you to everyone who was able to come. We had a great time playing fun learning games and winning prizes. We even had a Thanksgiving Turkey as a door prize! Be sure to make it to our next events! Kinder-2nd grade Gingerbread House Night- We will have snacks, a craft, as well as some yummy projects. K-8 Bingo for Books- Everyone is invited to come down and play Bingo for books! 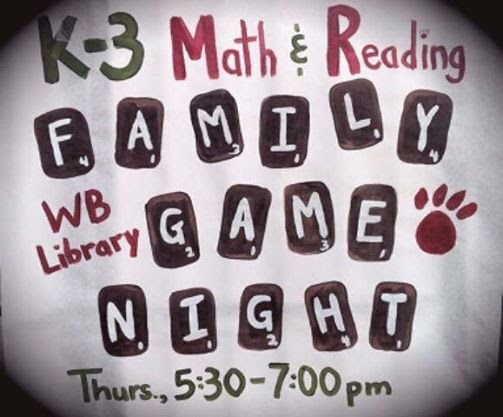 November 20, 2014 - Join us for the Kinder-3rd grade Math & Reading Game Night tonight at 5:30 in the Walker Butte Library! There will be games, door prizes, and refreshments. Bring the family down for a night of fun and learning! October 29, 2014 - We are practicing Habit 1 at Walker Butte - Be Proactive! Our Walker Butte 2nd graders learn about fire safety this month. We learned that home fires can start and spread quickly, which is why we all need to be careful and educated when it comes to fire safety. Just a little bit of planning can make a big difference for your family. We also had some fun while we learned -- Check out Mrs. Conte modeling the fire gear! October 16, 2014 - Four staff members from Walker Butte K-8 attended the Leader in Me Book Tour 2014. They had the opportunity to hear from the authors and receive a copy of the new edition. The Leader in Me has sold more than 200,000 copies and has inspired nearly 2,000 schools in 25 countries to implement its principles. It features schools that seamlessly integrate the 7 Habits and other leadership development into daily curriculum, activities, and culture. Their students learn to set and achieve meaningful goals, take responsibility for their learning, work well with others, and use their individual talents to better the school's community. On September 22, 23, and 24, Walker Butte Staff Members volunteered their time to participate in a Leader in Me Training. What is The Leader In Me ? Download a list of suggested books that you can use to reinforce the 7 Habits at home HERE! September 8, 2014 - Walker Butte K-8 received a $7,000 grant from Arizona Department of Education to support the development of a school-wide character education program that includes curriculum, training, supplies, and coaching. Our school desired funding to purchase The Leader in Me that has a proven track record nationally and internationally. The proposed intervention, The Leader in Me, is a character education curriculum for learners of all ages. Our target population includes all of our K-8 students, whereas teachers educate various topics of character. The activities are designed to be conducted at least once weekly; however, many activities can be repeated throughout the week. The lessons are engaging, interactive, and developed for age-appropriateness. The Leader in Me process has proven to increase academic performance, improve school culture, decrease disciplinary issues, and increase teacher engagement and parental involvement. The Leader in Me is a school model that places great emphasis on students taking responsibility for their learning and tracking their own math and reading progress through data books which they maintain themselves. In addition, teacher’s at our school track and post academic growth in classrooms and throughout campus. Data driven decision-making is emphasized along with parent communication and involvement. During the 2014-2015 school year, we have coordinated to proceed with the first phase, which is scheduled to last a year, of establishing a culture of leadership. In the first year, Walker Butte K-8 will engage our entire staff in a shared vision of the greatness and leadership that are inherent in every child and adult. During this phase, we will examine timeless, universal principles that allow people to realize their potential and create specific plans for implementing these principles in our school and classroom cultures. Our focus will be on the Walker Butte K-8 Vision, 7 Habits Signature Training and Certification, Implementation Training, and Lighthouse Team Training. The following academic year, 2015-2016, Walker Butte K-8 will be applying the tools of leadership, building on the foundation established in year one. We will learn to apply the 7 Habits and leadership concepts at a higher order. Tools will be employed that empower staff and students, focusing upon effective school wide goals targeted at a measured reduction or elimination of the impediments to students’ personal and academic success. The intent is to affect measurable results immediately and build a lasting capacity to sustain those results in the future. During this phase of implementation, we will engage in an Empowerment Day training for the entire staff and Achieving School-wide Goals training for the Lighthouse Team. The final stage of implementation will occur during the third year and beyond. The 2016-2017 academic year, will demonstrate our site defining our unique signature. At this level, the training and consulting are customized to assist our site in achieving our vision and make a distinctive contribution. The momentum of continuous improvement is essential in maintaining greatness. 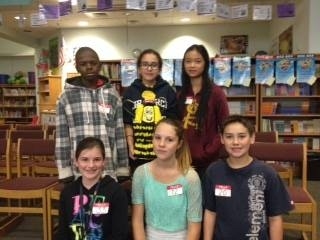 In the pictures above, Walker Butte Student Council Leaders communicate the Seven Habits at the FUSD Impact Event. On Thursday, September 4th, Walker Butte Students Challenged the Administration to the ALS Ice Bucket Challenge. In case you haven't heard about this challenge, it is an activity involving dumping a bucket of ice water on someone's head to promote awareness of the disease amyotrophic lateral sclerosis (ALS) and encourage donations to research. On Friday, August 29, 2014 Mrs. Allred's Class had a camping experience in connection to their reading. In the story they read, Henry and Mudge and the Starry Night, Henry's family went camping. They learned that Henry's mother knew how to build a fire, put up a tent, and look for the Big and Little Dipper in the sky because she was a Camp Fire Girl when she was young. Mrs. Allred's students also learned that Henry's father didn't know anything about camping but brought his guitar and a smile. The class gathered materials all week to make a campfire of our own on Friday. When we were finished making them we got to eat them. YUM! On Friday, August 22nd, Mrs. Perales' 8th Grade Class and Mrs. Lopez's 1st Grade Class partnered together for Science Buddies. They gathered objects from their environment and used them to create a collage. The 8th graders and 1st graders had fun synergizing to create their natural masterpieces. On Tuesday, August 19, 2014, Ms. Kuhl engaged her students in learning about ratios with Skittles. The NED Show presented at grade-level assemblies, on August 15, 2014, at Walker Butte K-8. NED is a loveable cartoon character whose name is an acronym for Never give up, Encourage others, and Do your best. August 14, 2014 - Third grade leaders are hard at work learning the 7 Habits with the Leader in Me! Each week we focus on one of the habits and set our goals to begin our week with the end in mind. Last week we worked on Habit 1 Be Proactive and responsibility. Our students listed five things they could do at home and school to be more proactive. Each child took their list home and involved parents in helping them carry out being proactive. Parents provided signature to validate their child’s involvement and includes lots of positive comments! This week we made proactive buddies to help remind us what Being Proactive was all about. Each student wrote about Being Proactive and taking the first step of accepting responsibility. We are excited to announce that our preschool this year added an additional classroom as we continue to grow in numbers. Our new preschool teachers, Ms. Hilleboe and Mrs. Ehlert are certainly an asset to our program. We will begin the year with a “Back to School” theme, helping the students get adjusted to their new school surroundings. For some of them, it is their first exposure to the school environment and we want to make sure they get started on a positive note while providing a warm and fun filled learning experience. We will develop class rules, and review them daily. Once they become familiar with class routines and rules, we will begin to incorporate themes that will focus on the children themselves, to include “All About Me” with emphasis on family and friends. Then we will begin to discuss our transportation and how we arrive and depart from school. These will be our themes for the 1st month of school. As the year moves on, we will incorporate seasonal themes, and focus on a new letter and shape each week. Our preschool teachers embrace our philosophy of: 7 Habits and look forward to being positive role models in this effort! Here’s to a Great Beginning!! Each week, Mrs. Lopez's First Graders will visit Mrs. Perales' 8th Grade Science Lab and conduct experiments with their Science Buddies. On August 8, 2014, the students were on a very important mission to create "elephant toothpaste" for some elephants who are in dire need of a good tooth brushing! The 1st and 8th grade buddies met for the first time, learned about safety procedures, and mixed two solutions together to make the toothpaste. It was great learning fun! On August 6, 2014, one of our wonderful F.U.S.D. Technology experts, Gabriel Carrillo, conducted a Google Hangout read aloud. Mrs. Ryba's Kindergarten class, connected using the Promethean board and a document camera. Mr. Carrillo read Froggy Goes to School by Jonathan London, and added some interactive parts to the story! The kids really loved hearing the story and interacting with Mr. Carrillo. They can't wait to do it again, but this time maybe with another class! We offer FREE FULL-DAY KINDERGARTEN!